There are four types of metal coins and bars allowed inside of a precious metals IRA: gold, silver, platinum and palladium. The least well known of these is palladium, but you should become more familiar with this amazing metal. Palladium is not only beautiful and rare – it's Noble. What makes a metal noble? Noble metal is resistant to corrosion and oxidation, a feature which distinguishes it from a base metal. In other words, palladium is not very reactive and will maintain its chemical composition and appearance for a long time. It is worth noting that gold, silver and platinum are each also considered to be noble metals, and it is this resistance to environmental spoil which makes them particularly well suited to form currency, collectable coins or investment metals. It is estimated that palladium only makes up 5 parts per trillion of the Earth’s crust, or roughly 0.000000000005%. This makes it one of the ten least commonly occurring elements near the surface of the planet. Only two countries have significant palladium mining operations: Russia and South Africa. This rarity adds to the value of palladium, and is one of the reasons that investors and collectors alike search out palladium as a store for value. We’re not likely to inflate the quantity of palladium! Palladium is uniquely able to absorb hydrogen gas. In fact, if you were to possess a sponge which could soak up water as well as palladium holds hydrogen gas, your sponge would be able to hold hundreds of buckets worth of water. At normal temperatures and pressure, palladium can absorb 900 times its volume of hydrogen. Scientists are still unsure about how this phenomenon is precisely achieved. Nevertheless, this makes palladium a remarkably efficient and safe storage vehicle for hydrogen and hydrogen byproducts of nuclear reactions. While the word “palladium” has been used in English writing since the 1600s to describe something which provides protection or safety, in antiquity the palladium was a cult image that was most famously represented in a wooden effigy of Athena – goddess of wisdom. The wooden carving of Athena was believed to have been carved from the heavens, and not a man-made. The palladium was the holiest image of Athena, and was washed once per year by the high priestess in the Mediterranean Sea. It was said to provide protection for the city. Palladium can still be used to protect your wealth as an investment inside of an IRA! White Gold is an alloy which is popularly used in jewelry due to its attractive look and durability. While gold is the only necessary metal in white gold, palladium is very often complementary substance. A palladium/gold composition is more pliable than silver/gold or nickel/gold variations, since both palladium and gold are very malleable metals. This is ideal for the setting of stones in jewelry. The single largest use of palladium is inside of catalytic converters for automobiles. Your car’s catalytic converter is used to reduce pollution, and relies on elemental “catalysts” to accelerate chemical reactions. Palladium, much like platinum, is an excellent catalyst for the burning of hydrocarbons and carbon monoxide (known as “oxidizing”), reducing the amount of harmful gases that escape from the vehicle. Add Palladium to Your Investment Portfolio Today! Want to learn how you can add some palladium to your investment portfolio? 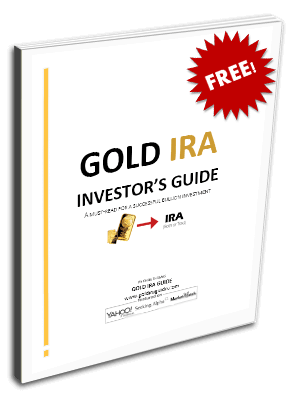 Request this free kit, offered in partnership with Regal Assets, our #1 rated precious metals IRA company in 2014. See the full rankings of 70+ companies here.